Maybe you’ve decided getting a VPN is a good idea, but have no idea how to get started. 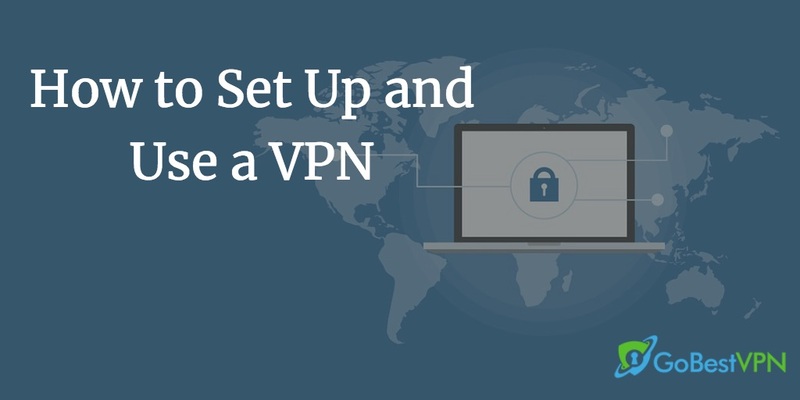 This guide will give you everything you need to know to set up your VPN today. VPN technology has burst on to the mainstream in a big way over recent years, particularly with Netflix cracking down on cross-country usage. Once upon a time, VPNs were relatively obscure pieces of software used by people up to no good online. Today, with growing consumer concerns surrounding privacy online, VPNs are widely used and are more commonplace than ever before. 2018 was the year of privacy, riddled with major data breaches and decisive court cases. Our data is increasingly vulnerable to these sorts of attacks, making now the perfect time to seek protection by using a VPN. A VPN—Virtual Private Network—is a piece of software that lets you anonymously send and receive data across a network by encrypting your traffic and shielding your IP, as well as other data from your ISP and other prying eyes. This makes it especially ideal for use on public networks with insufficient encryption. However, VPNs are also great for home use. VPN clients tunnel your traffic through their own servers, often located in many countries across the world, to spoof the source of your connection. When connected to a VPN, your traffic is essentially routed through an encrypted tunnel before reaching its destination. So your traffic to a site will appear to come from the VPN server you are connected to rather than your personal server. The only visible IP address is that of the VPN’s server. Your own IP address remains hidden. So, if you’re in London and connect to a VPN server in Paris, it will appear as though you’re accessing the internet from Paris and not London. Does it work 100% of the time? No. Unfortunately, VPNs do not 100% anonymize you. Some VPNs are better at protecting you than others (hence our comprehensive reviews of dozens of VPN services!). Even when using a good VPN, it’s still wise to exercise best practices. VPNs are not a free pass to be reckless online. We’ve spent a lot of time researching and reviewing most VPNs currently available on the market so you don’t have to. 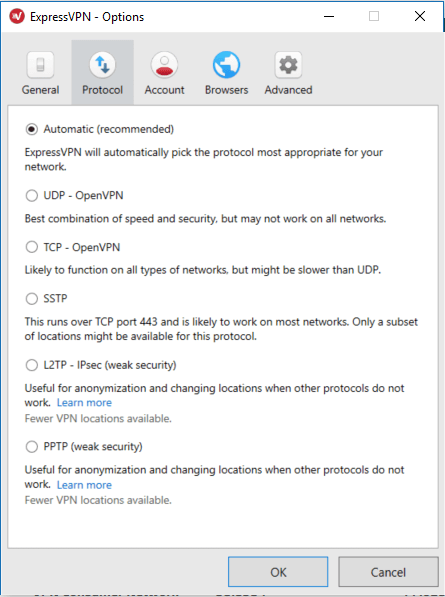 When we perform a VPN review, there are certain things we look out for. If there’s an area where no one VPN is the same, it’s speed and performance. You’re never going to get the same download and upload speeds when connected to a VPN, as you do when you’re not connected to one. Choosing a good or bad VPN can be the difference between a 10% reduction in speeds or a 95% reduction in speeds. Yep, it can be that large a difference – see why we spend so much time reviewing them? All these factors contribute to a VPN that will safeguard your personal data and online activities. You don’t need to break the bank on a VPN subscription. There are plenty of budget-friendly options out there giving customers maximum bang for their buck. In fact, all the VPNs in our top 10 spots go as low as $4 per month or less when you purchase a long-term subscription. There are several sub-par VPNs that cost more than the best ones. So do your research before paying for an inferior service. Sometimes you don’t get what you paid for! The best VPN providers offer thousands of servers located throughout the world. This is good because it gives you plenty of choices both in terms of speed and location. The top-rated services in the market also tend to provide dedicated servers for a specific use such as watching Netflix or downloading torrents. With thousands of servers to choose from, you’ll be able to find servers that are fast, work with Netflix, and are P2P-friendly. For those wondering how to install a VPN and use it: we can assure you that it’s quite simple. In fact, here’s a step-by-step guide you can follow along. 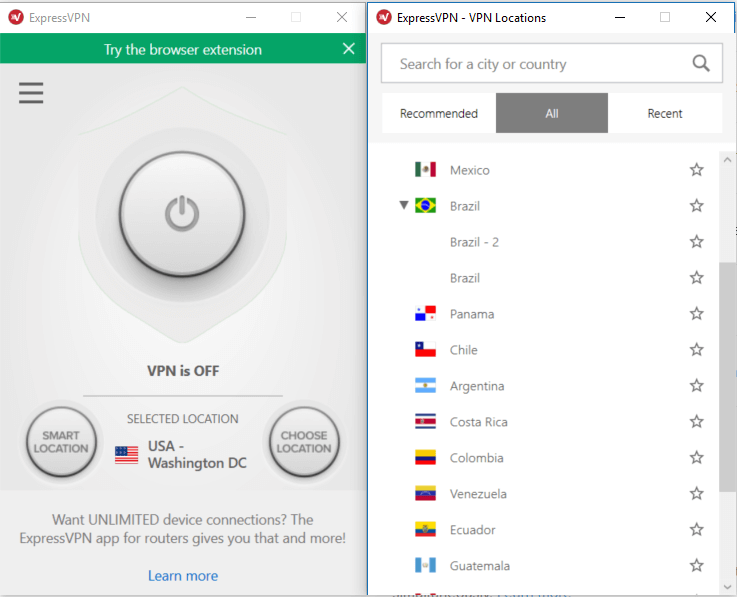 Using ExpressVPN (one of our favorites) as an example, let’s take a look at how you can go about installing a VPN and using it for yourself. The great thing about ExpressVPN is that they offer a 30-day money-back guarantee so you can try out the service for yourself – perfect if you want to go ahead and install it while you follow this guide! In the unlikely event that you’re unsatisfied, you can get a full refund with no questions asked – sound good? Let’s get started. As we mentioned earlier, the longer your subscription plan, the cheaper it is per month. With ExpressVPN, you can purchase a full year’s access in bulk for $99.95. This works out to a monthly price of $8.32. Alternatively, you can try it for a month at $12.95 and then purchase a year’s access if you decide to use it long-term. ExpressVPN lets you pay using a variety of payment methods including PayPal, credit or debit card, and Bitcoin – handy for privacy-conscious customers. After paying for your subscription, you’ll be taken to your account dashboard where you can set up ExpressVPN for a range of devices. Press the “Download for Windows” (or whatever device/operating system you use) button and the file will download automatically. Click to open the file. The ExpressVPN setup wizard will run and install the VPN client for you—you don’t have to do anything. Once it’s installed and launched, simply log in with your email address and password. You will then be prompted for an activation code which you can find on the subscriptions page above. 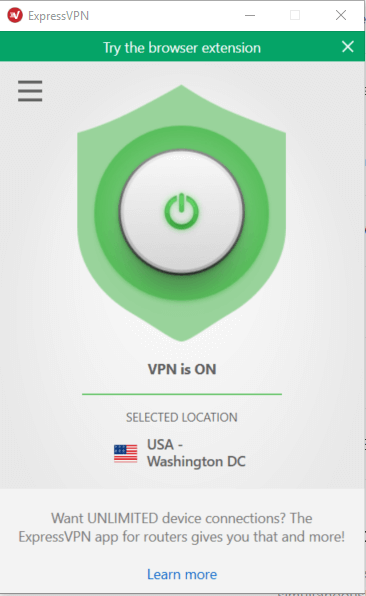 To set up ExpressVPN on other devices such as Android or iOS, simply click the relevant link. ExpressVPN can be used on an entire range of devices including routers, PlayStation, and Google Chrome. Once you install ExpressVPN and authenticate your account using your activation code, you’re ready to begin using it. 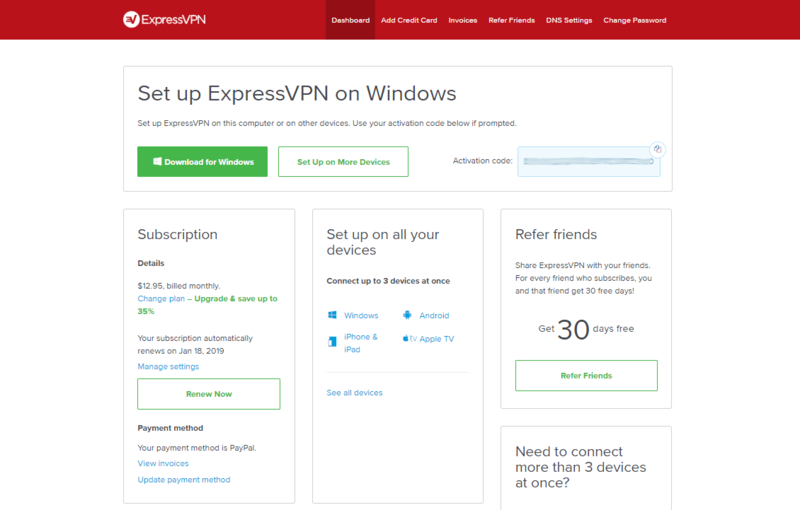 ExpressVPN is very user-friendly, so you can get started in a matter of seconds. Simply click the connect button (the large circle) to automatically connect to your selected location. You will then see a huge list of potential locations—choose the one that’s best for you. 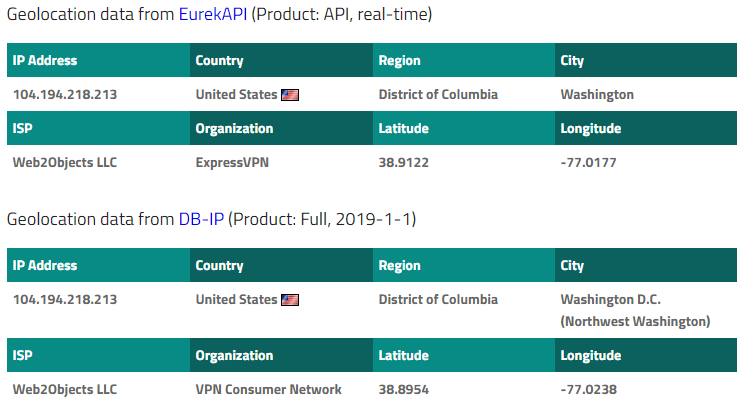 ExpressVPN is always updating their servers, adding new ones and removing old ones that have been caught and blocked by streaming sites. This is another sign of a quality VPN service, as various websites like Netflix and jurisdictions like China may get better at detecting proxies. Choosing a server is often the hardest part when you’re using a good VPN service. The right server for you depends entirely on your needs and what you want to do. If you don’t want to harm your speeds too badly, choosing a server close to you is a better idea than sending your connection halfway across the world. If you want to access U.S. Netflix shows then you’ll need to connect to a U.S. server – easy so far, right? Whether you can tinker with more advanced settings depends entirely on the VPN service you choose. Some allow you to change lots of settings, while others allow you to change a few. Some don’t let you change anything at all – perfect for customers looking for something quick and easy to use, but not so good for pro VPN users looking for some veteran control. 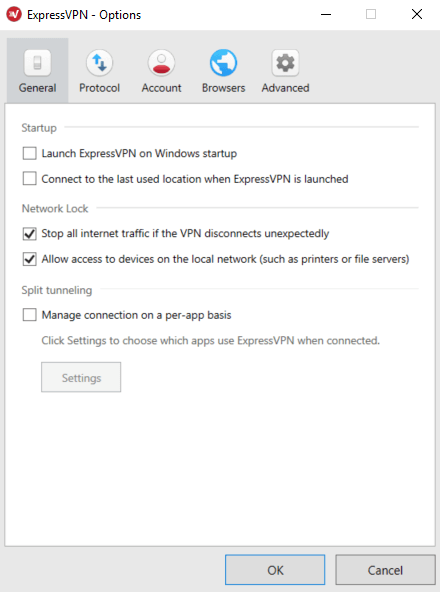 You can also choose whether to disable ExpressVPN’s kill switch (a bad idea) and control how ExpressVPN behaves on startup, among other things. If you decide to subscribe to a good VPN service such as ExpressVPN or NordVPN (be sure to check out our reviews on both for an informed study on what you can expect from each of them), you’ll find that the job of setting up and using the service itself is a breeze. All the VPNs in our top 10 list offer native clients that are installed through intuitive installation wizards. Additionally, they’re all easy to use once installed, can be configured, and offer competitive and robust VPN services at friendly price points. You use a service aimed at advanced computer-savvy users who know their way around advanced configurations. As a casual user who just wants to use a VPN to access streaming content, hide your IP address, or prevent your ISP from throttling your connection, there are plenty of easy-to-use VPNs out there that won’t cost an arm and a leg. Before using a VPN though, we recommend learning about what they are, what they should be used for, when they may be useful, and how to best use one if you decide to go ahead with it. You can get started with this guide on the basics of a VPN, or if that’s stuff you already know, you may want to check out our more detailed guides on various VPN-related topics.